87-year-old Robert Mathiasen and an 83-year-old woman were struck in a tragic pedestrian crash that occurred on February 24, 2012, around 7:28 p.m. in the 2000 block of North Palm Canyon Drive. According to Riverside County sheriff’s officials, both the victims were trying to cross the street when they were hit by a northbound Ford Taurus. The pair was immediately transported to Desert Regional Medical Center for treatment, where Mathasen was later pronounced dead around 9:18 p.m. The Taurus driver cooperated with the investigation. From the present facts, it is unclear as to how this pedestrian accident occurred. Was the motorist distracted? Or was he speeding? The victim’s family members should immediately seek counsel from an experienced Riverside County pedestrian accident lawyer, who would educate them about their legal rights. The victim’s family members may file a wrongful death claim against the car driver to obtain compensation to cover funeral and burial costs, loss of love, care and companionship, and other accident-related damages. Our law office sends sincere condolences to victim’s family members. We also hope and pray that the injuries suffered by the female pedestrian heal soon. 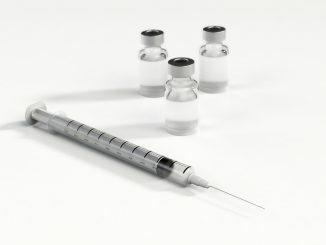 The Food and Drug Administration has issued a warning to San Diego doctors specializing in dermatology and patients about the psoriasis drug efalizumab, or Raptiva. This warning is linked to three deaths and possibly a fourth. The three that were confirmed dead were all taking the drug Raptiva and were reported to have had a rare brain infection called progressive multifocal leukoencephalopathy (PML). In October of 2008, the FDA forced the drug maker, Genentech to highlight in a warning regarding the risks of life-threatening infections, including PML, on their product packaging. The FDA has also directed Genentech to develop a Risk Evaluation and Mitigation Strategy to ensure that patients receive risk information about Raptiva. Also, the FDA wants to make sure that the risks do not outweigh the benefits. Just take one look at the website DogsBite.org and you will be bombarded with stories about Pit Bull, Rottweiler, and Wolf Hybrid attacks. Just recently, in Texas, two adults got their eyes ripped out by pit bulls in a vicious dog attack. It is a myth that, in California, a dog owner is only responsible for his dog’s actions if the owner was negligent or irresponsible. 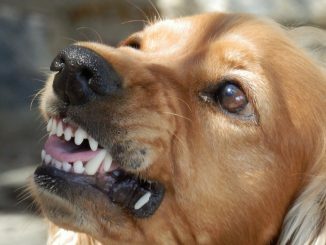 In fact, California’s dog bite statute holds owners nearly “strictly liable”–meaning responsible even though they may have acted carefully–for their dog’s actions so long as the victim was legally allowed to be where the dog bite occurred (in other words, not a burglar, etc.). Now, not all dogs of these breeds are dangerous. But Pit Bulls, Rottweilers, and Wolf Hybrids all have a higher propensity to be dangerous, which, when coupled with lax, weak, timid, or just irresponsible owners lead to the dogs losing control of their aggressive natures. 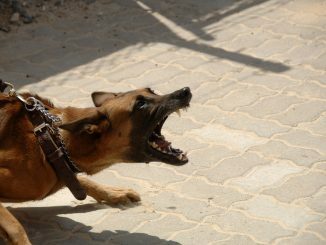 Regardless, when a dog of any breed attacks, it is not man’s best friend and it is very savage in asserting its’ dominance over its’ victim. If you or a neighbor have been involved in a dog attack or San Diego dog bite, please contact the San Diego dog bite lawyers to hold their owners accountable for their irresponsibility. A woman was killed in a tragic pedestrian crash that occurred on February 26, 2012, around 6:21 p.m. at 7th Street and Grand Avenue. According to Riverside County fire officials, the victim was walking at the street when she was hit by a car. The pedestrian suffered life-threatening injuries and was pronounced dead at the accident scene. From the present facts, it is unclear as to how this pedestrian accident occurred. Was the motorist distracted? Or was he speeding? Our law office sends sincere condolences to victim’s family members. The Federal Motor Carrier Safety Administration (FMCSA), part of the U.S. Department of Transportation (USDOT), regularly shuts down trucking companies due to repeated or serious safety violations. The agency recently ordered an individual California truck driver off the road, however – an extra step that the agency rarely takes except in serious cases. According to the out of service order filed by the FMCSA, the driver had violated both state law and federal regulations regarding drug or alcohol use and driving several times over the past year. The agency says that the driver has been cited more than once for driving a commercial vehicle while under the influence of alcohol or drugs. Impaired or drunk driving is dangerous in any vehicle, but when the driver is operating a large truck or bus, the results can be devastating. 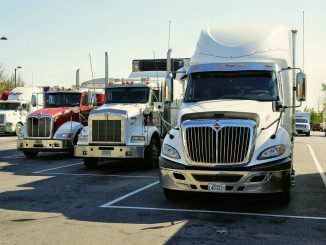 The driver has also been cited for other safety violations, including areas such as the FMCSA’s Hours-of-Service rules and logbook requirements. The hours of service and logbook rules are intended to prevent accidents caused by fatigued driving. They limit the number of hours each day and each week a driver may be on duty, and require drivers to get rest during their off time. Distracted, drowsy, or impaired truck drivers greatly increase the risk of harming others on the road. If you’ve been injured in a California truck accident, the experienced San Diego truck accident victim lawyers can help. Contact us today for a free and confidential case evaluation. 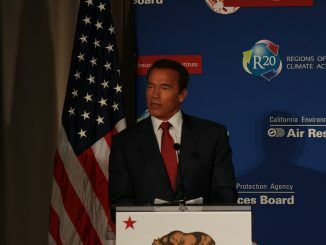 Will Schwarzenegger and GOP Hurt Californians With Tort Reform? We’ve written about the misguided instrument known as tort reform that is intended to help protect society from runaway litigation costs, but really only helps irresponsible companies and people from having to pay for the full extent of the damage they cause for others. California is no stranger to tort reform measures, such as MICRA, which has been a boon to insurance companies in reducing their risks while still permitting them to charge exorbitant rates to doctors to protect them from medical malpractice claims. 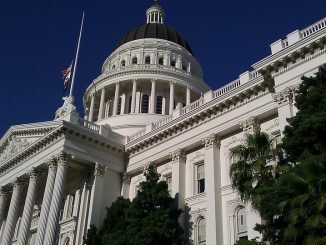 Now, in an effort to solve the California budget shortfall, Governor Schwarzenegger and the Republicans in the legislature are trying to force tort reform measures into law. The most destructive of these measures is the implementation of a damages cap on pain and suffering. Damage caps are arbitrary and, in my opinion, illegally remove authority from jurors to determine appropriate damages in a civil case. The arbitrariness of damage caps is made even worse when the cap is set at a ridiculously low level–$250,000 as proposed by the Governor. The Governor’s attempt to balance the budget on the backs of the injured is misplaced and unfair. Property owners sometimes have a duty to ensure their patrons and visitors are safe while on their premises if they know of expected criminal activity which could occur on their property. Legally, this means that property owners with a heightened risk of danger or criminal activity will have to take reasonable safety measures to protect their visitors. 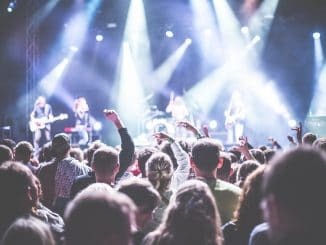 Unfortunately, some property owners do not adhere to their duties and their customers or patrons are injured from a third party’s criminal acts such as assault and battery. If you or a loved one has been injured or killed due to negligent security at a bar, club, or sporting event, call our office for more information and a free consultation. Why are San Diego Construction Sites So Dangerous for Workers? No matter where one works, people are always at risk for some form of work-related injury due to the various hazards present in workplaces in San Diego and across the country. However, while many workplaces only feature a few dangers or hazards that do not usually have catastrophic consequences, construction sites feature some of the greatest hazards and the potential for many types of workplace injuries in San Diego and the U.S. as a whole to occur. While not all of the dangers will result in accidents at every construction site, they present a high risk to all present, and even extensive safety precautions and responsible workers cannot prevent all accidents. These hazards also have a high likelihood of causing serious and even fatal accidents due to their extreme nature. Those injured, or the families of those that have died in construction accidents, have the right to seek workers’ compensation benefits. 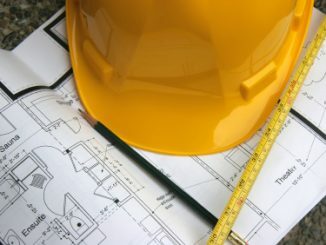 Even though construction sites are known to be hazardous, it doesn’t make the injury claims of construction workers any less valid. 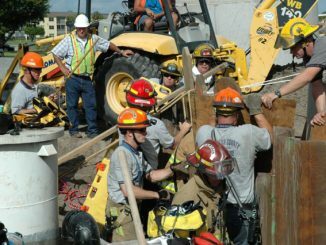 If you have been injured while on the job, the San Diego construction accident lawyers have the experience and skills to help you find worker’s compensation. Contact our offices for further information on how we can help you. Unfortunately, slip and fall accidents are very common, most often in supermarkets, stores, and restaurants. Employees that sweep and mop floors sometimes do a poor job, or they fail to warn their customers that the floor is slippery after mopping. 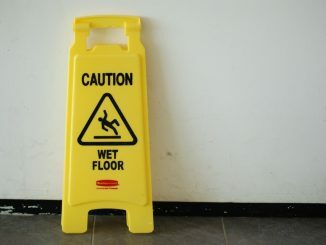 Many employees also forget to display a “wet floor sign” which could warn their customers of a potential slip hazard Because of this, people can unexpectedly slip and fall and injure themselves. 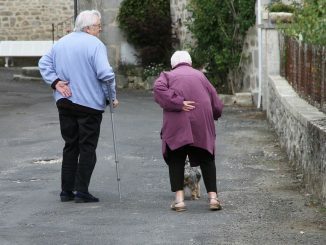 The slip and fall attorneys have represented numerous clients injured by slip and fall accidents. For more information about how we can help you or your family member injured in a San Diego slip and fall accident, please contact us for a free consultation. Slip and Fall Injuries are one of the Most Common Accidents and One of the Most Difficult Personal Injury Claims. Be Sure to Hire a Trained and Experienced Lawyer for Your Case. Slip and fall accidents can happen anywhere, even in stores, restaurants, and shops. Because these places require constant cleaning, employees have to constantly sweep and mop their floors. Although this is a good practice for a business to have, sometimes these employees will do the job in a negligent and disorderly fashion. Employees are supposed to warn their patrons or customers if the floor is slippery or wet. Or at the very least, they should leave a “wet floor” sign on the wet area. 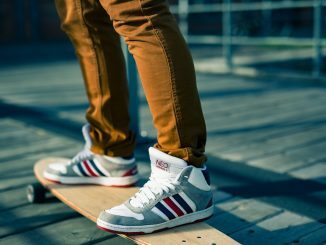 Will the Store be Held Liable for my Slip and Fall Accident? When property is open to the public for business purposes, the customers or patrons are considered to be “invitees.” These businesses have the obligation to warn these invitees of known obvious and non-obvious dangers, and they will be held liable if someone gets injured while on their property. A wet floor is considered to be a non-obvious danger because you don’t know a surface is too slippery until it is too late. Thus, when you slip and fall in a store through no fault or negligence of your own, the store will generally be held liable for your injuries. This means, that the store will have to pay for your lost wages, medical expenses, and other damages you may have from the accident. How Can a Slip and Fall Accident Attorney Help? Unlike most other personal injury cases, the only way to obtain compensation for your injuries is by filing a lawsuit. Once the lawsuit is filed, slip and fall attorneys know how to negotiate with the business, their insurance companies, and their attorneys. Fortunately, our lawyers specialize in slip and fall accidents. We have represented numerous slip and fall clients who have been satisfied with how our law office represented them and the compensation they received. If you or someone you know has ever been involved in a slip and fall accident, please contact us for a free consultation. Earlier today, my friend and New York medical malpractice attorney, Gerry Oginski posted on Facebook to a New York medical malpractice verdict against a podiatrist. The verdict was noteworthy in that the jury awarded $3,000,000 for the victim’s pain and suffering ($1.5 million for past pain and suffering and $1.5 million for future pain and suffering). This sparked a discussion amongst several lawyers from throughout the country about how inequitable tort reform laws are to the victim solely because of where they choose to live or receive medical treatment. In New York, there is no tort reform cap on pain and suffering damages. Therefore, the $3,000,000 verdict, so long as it is supported by evidence, will not be reduced. However, here in California, we have MICRA–California’s tort reform measure which places certain limits and requirements on medical malpractice lawyers and their injured clients. Specifically, the California legislature has placed a cap on pain and suffering at $250,000. 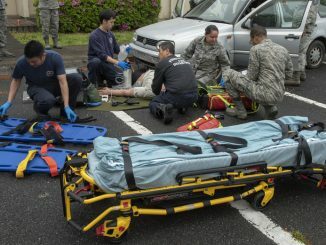 It does not matter how badly injured you are, whether you need constant medication to live with moderate pain for the rest of your life, had 2 wrong limbs amputated, etc. California has decided that under NO circumstances is anyone’s pain and suffering worth more than $250,000 when injured by a doctor. So, let’s assume that we have 2 people who have suffered the same injury and have the same prognosis. The only difference is that one was injured by a New York doctor and the other by a California doctor. The former victim will get compensated $3,000,000 for his pain and suffering while the other will only recover $250,000. That is just not fair or right. The tort reform mess gets even worse in other states, such as in Indiana. In the Hoosier State, total damages are capped at $1.25 million for all damages. This is true even if current and future medical treatment exceed $10 million and lost wages are $3 million or more. This inequality in results, based solely on geographic location where the injury occurred, cannot stand. Tort reform has created this and many other unfair results for injured people, all in the name of saving society from runaway litigation costs–which have been proven time and time again not to exist. One of these days, the public will hopefully wake up and rescind these unfair tort reform laws. Until then, these unequal results will continue. Burn injuries are not to be taken lightly. Burn injuries differ in severity and required medical treatment so it will be best to educate yourself on the different types of burns you can get. We frequently represent people that have suffered from burn injuries in San Diego accidents. For more information, call our San Diego personal injury law office for a free consultation. A 56-year old man was badly bitten in a San Diego County dog bite attack on February 16, 2010, by a pair of aggressive dogs, one of which has a history of biting. This dog bite accident took place in a West Escondido gated community. The victim, Tom Atkinson, said he was finishing a jog on Rock View Glen in the Emerald Heights development when he noticed two loose pit-bull mix dogs growling at a neighbor and his leashed dog. He joined the neighbor and fought off the dogs. However, as Atkinson continued up the street, the dogs turned around and charged. He was bitten several times by the pair of animals, leaving him with one bad bite to the forearm that required stitches to close the wound and another deep bite to the thigh. One of the dogs was impounded by a San Diego County Animal Control Officer but was later released to the owner, who promised to keep it on a 10-day quarantine. The other dog also was allowed to stay with the owner but was not quarantined. There may be an administrative hearing to determine whether the dogs are potentially dangerous under the law. Our office wishes for a speedy recovery for Tom Atkinson. We are indeed glad more serious harm was not done! Some of you may know from prior posts that I am not a fan of breed specific dog laws, particularly those that target Rottweilers or Pit Bulls. While these breeds are most commonly involved in dog bite attacks, it is my own belief that these attacks are the fault of poor owners who are attracted to owning these breeds due to their menacing appearance and strong physiques. Certainly, if you own either of these breeds, you must be a strong and dominant owner—more so than if you own another, less physically imposing breed. Dogs are pack animals and will submit to a pack leader that it respects. Respect, for dogs, comes from an owner who has strong mental discipline and will discipline their pet when it gets out of line. In this case, how could the owners of these dogs allow them to run free in this neighborhood? This is particularly true of the owner of the dog with the prior bite history. This is completely inexcusable. It is bad enough that Mr. Atkinson was attacked and severely wounded. However, what would have happened—as we normally see in these cases—if these dogs would have attacked a child? Typically, the result is massive traumatic injury and perhaps even death for the child who cannot defend itself against such strong animals. Dog owners must always be responsible, but even more so when they own potentially lethal breeds. The Oklahoma Expert Certification Tort Reform Bill: A Good Idea or Does It Not Go Far Enough? The Oklahoma legislature is currently considering a tort reform bill that would require people wishing to file a civil lawsuit for professional negligence (medical malpractice, accounting malpractice, legal malpractice, etc.) to obtain and attach an affidavit that the person has consulted with a qualified expert who has reviewed the facts of the case. The bill addresses all professional negligence but there can be no doubt that its’ main goal is to reduce the number of medical malpractice lawsuits by prohibiting lawsuits without expert support. The affidavit must include a statement that the expert has provided a written opinion to support the allegation of professional negligence. If the affidavit is not filed, the lawsuit may be dismissed. The bill, House Bill 1570, is similar to a bill vetoed by Oklahoma’s governor last year. Six states, including Georgia, Minnesota, Missouri, Nevada, New York, and Pennsylvania, already require expert certification before filing a professional negligence lawsuit. The cost of having an expert review medical records and provide a written opinion can cost anywhere from $1,000 to $5,000 in most cases. The news story cites an example where an expert charged a medical malpractice victim $12,000 for his pre-litigation expert opinion. The NewsOK.com news story prompted me to post a provocative tweet on Twitter, which then received several comments from Walter Olson of the legal reform website Overlawyered.com and Chris Davis of the Seattle personal injury law firm, the Davis Law Group. My original opinion was that the Oklahoma expert certification bill is actually a good tort reform idea because it only requires an injured person to obtain a supporting expert opinion prior to filing suit–something any good and responsible medical malpractice attorney do. To prevail in a claim of medical malpractice, the person alleging the injury must prove that the doctor breached the professional standard of care for their field and that this breach actually caused the injury. To do this, an expert witness in the same field as the defendant doctor must be hired to review the medical records of the injured patient. While the bill places a burden on the injured patient’s right to access to the courts, it merely requires what careful and prudent medical malpractice lawyers already do. On the other hand, is the Oklahoma legislature ignoring a second equally obvious method of expert certification which would further reduce the waste caused by “frivolous” lawsuits. In response to my original Twitter post, Chris Davis suggests that the Oklahoma legislature also require defendant doctors obtain expert certification that they did not breach the professional standard of care. In other words, what is good for the goose is good for the gander. Mr. Davis points out, rightly so, that a great deal of time, money, and resources are wasted in litigation fighting “frivolous defenses” created by the defendant to muddy the waters at trial. Remember, the injured patient bears the burden of proof at trial. It is a tried and true defense tactic to “throw mud” at trial–to raise irrelevant but upsetting facts–in the hopes the jury will be so confused that they will find for the defendant doctor. Much of the discovery process is spent trying to eliminate as many of these frivolous defenses as possible. By eliminating the frivolous defense of claiming that the defendant doctor did not commit malpractice–perhaps along with an attorneys’ fees and cost penalty against the doctor if a jury found that the doctor had indeed committed malpractice–the scope of disputed issues would be greatly eliminated, saving litigation costs and judicial resources. Perhaps the Oklahoma legislature should be encouraged to go one step further in its’ tort reform efforts. 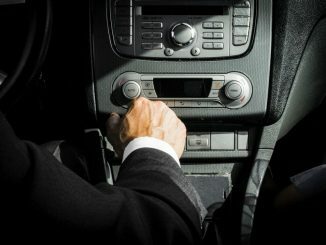 According to a recent study conducted by Insurance.com, 44% of lawyers and judges — a higher percentage than any other profession — reported to insurance companies while comparison shopping for auto insurance that they had been involved in a prior driving accident. This is the highest accident rate amongst any profession included in this survey. The findings were published in a list entitled Top 10 Most Dangerous Drivers by Profession. This is a higher rate of accidents than those reported by interstate truck drivers, financial professionals, waiters, or government workers. According to Insurance.com Vice President Sam Belden, the higher rate of auto accidents months lawyers and judges as well as financial professionals, who came in second, is because these professions demand multitasking, have higher stress, and require professionals to be focused on multiple tasks at the same time. According to Belden, this leads to more accidents. However, government workers came in third. This profession is not typically known for high-pressure schedules and its workers are typically just as prone to multitasking as lawyers or judges. The safest drivers, according to the study, were athletes and homemakers. Belden believes that homemakers are very safe drivers because they tend to take your time while driving and use greater caution because they’re typically driving with their children in their vehicles. In addition, homemakers and athletes also tend not to drive during rush hour when most car accidents occur. The brain is a very important organ in our body. It is also very fragile and subject to injury when we strike our head in an accident or we suffer a skull fracture, so people need to do everything in their power to ensure that no damage comes to their brain. The personal injury attorneys take on brain injury claims every year. We have been representing brain injury clients for several years and we can help you and your friends and family if they ever suffer a brain injury following an injury accident. For more information about how our office can help you with your brain injury case, please contact us for a free consultation. 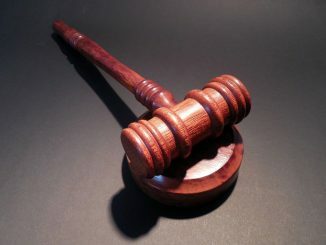 A Chula Vista woman was sent to jail recently after pleading guilty to committing medical malpractice by performing abortions without a medical license. Bertha Bugarin plead guilty to nine counts of practicing medicine without a license, one felony count of grand theft, and one misdemeanor count of “dispensing dangerous drugs” to her patients at her Chula Vista clinic where she claimed to be a doctor. The arrest and prosecution of Bugarin occurred after Michael Varga, a Chula Vista Police officer assigned to the department’s Special Investigations Unit, interviewed women about abortions they had received at Clinica Medica Para La Mujer de Hoy, a storefront clinic located on Broadway in Chula Vista that catered to low-income, Spanish-speaking women. Varga’s investigation led to identifying Bugarin as the leader of an illegal medical facility and abortion clinic. Bugarin, the investigation found, was a layperson who claimed to be the owner and manager of the Chula Vista cash only clinic, as well as five other similar clinics in Los Angeles and Orange counties. 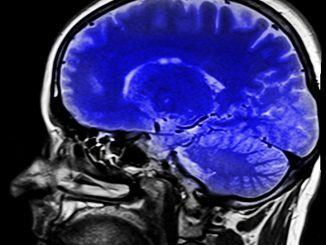 The results of a new study by researchers from Boston’s Harvard Medical School have shown that those who were the victims of abuse during childhood have a higher likelihood that portions of the brain will be underdeveloped. 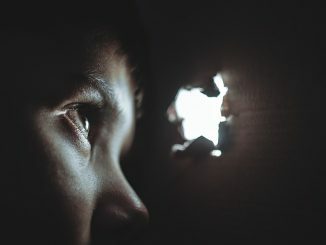 The study, released by Proceedings of the National Academy of Sciences, found that a variety of abusive tactics used against children led to underdevelopment of the brain due to severe stress. Specifically, the study found that childhood abuse victims had an average of 5.8% to 6.5% less volume in important parts of the hippocampus. The hippocampus plays an important role in memory and emotional processing, but results from the study did not reach a conclusion on what the effects were of having an underdeveloped one, although there may be a connection to the higher degree of mental illness found in those who have suffered child abuse. As the hippocampus is still developing during childhood, major stress at that time can lead to its improper formation. Any form of child abuse can result in devastating physical and psychological effects for a child. If you believe your child has been abused by another, you have the right to seek compensation from those responsible. 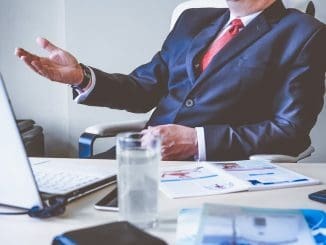 The child abuse lawyers in San Diego are dedicated to helping you and your child in any way we can and winning the compensation you both deserve. For more information, call us today for a free consultation from our experienced legal team. A 35-year old jogger was killed on February 16, 2010, in a San Diego pedestrian accident when she darted into the path of an oncoming car while running with her husband and their two dogs in the East County neighborhood of Lakeside, according to authorities. The woman apparently failed to see the northbound late-model Ford Mustang when she crossed the 9400 block of Los Coches Road in the Winter Gardens area shortly before 9 a.m. The motorist, an El Cajon woman in her early 50s, told investigators she did not see the jogger until she ran directly in front of her car. Our office wishes to convey our sincere prayers and condolences to the family and friends of the deceased. We urge the joggers in San Diego County to be more careful. It is better advised to jog in parks rather than on roads when possible. But if you are jogging on roadways, please look out for motorists who may not expect to see you run across intersections. And please, motorists, keep an eye out for the unexpected—including pedestrians, joggers, and bicyclists. A 36-year old woman was severely injured in an Orange County truck accident as a commercial truck tractor went off a residential street in Garden Grove and hit several trees, a fence, concrete planters and a block wall before coming to a stop. This truck accident took place on February 12, 2010 around 11 a.m. The injured woman, Olga Quiroz, was standing in her yard when she was struck and dragged under the truck. Quiroz was taken to a local hospital with lacerations, fractures, and other injuries to her legs. The truck driver, William Davis, 44, of Orange, was uninjured, and evaluated to have been driving under the influence of alcohol and was later arrested on suspicion of felony DUI. Davis has also been linked to a non-injury hit and run traffic collision that happened about 45 minutes before at Euclid Avenue and Trask Street. Our office wishes for a speedy recovery for Olga Quiroz. It has to be said that drivers need to be extremely careful while driving in residential areas. Also, driving under influence can lead to fatal consequences. On February 12, 2008, the California Department of Public Health issued an “AA” citation against the Lemon Grove Care and Rehabilitation Center. The Center was cited due to accusations of inadequate care and neglect, leading to a patient’s death. The Director of the California Department of Public Health, Dr. Mark Horton, stated that the citation was issued because the Lemon Grove Center did not adequately protect the health and safety of its residents. Dr. Horton added that the Center failed to provide adequate supervision of its’ employees and residents, resulting in one patient suffering fatal injuries. The citation process of the California Department of Public Health ranges from “B” to “AA” and is a part of its ongoing effort to improve the quality of care provided by California’s 1,400 skilled nursing facilities. The Lemon Grove center was fined $80,000. The State of California imposes a variety of legal requirements designed to protect those under the care of nursing homes or treatment centers. If you or a loved one has been seriously injured by neglect in a nursing home or while under dependent adult care, contact the experienced nursing home abuse lawyers. 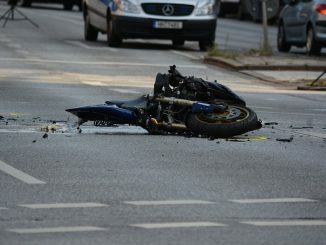 A man and woman were seriously injured in a San Diego County motorcycle accident on February 14, 2009, as the motorcycle they were riding was struck by a car at a Carlsbad Village intersection in North San Diego County. The victims were traveling on Carlsbad Boulevard around 11:20 a.m. when a car driven by a teenage girl, a resident of Upland, CA, pulled out from the intersection of Christiansen Way and collided with their motorcycle. The woman, who was riding pillion, was flown to a hospital, and the male driver was transported by ground ambulance. The teenage car driver was not arrested. Our office wishes a speedy recovery to the people who were injured in this serious motorcycle crash. We urge all drivers to drive a little more carefully and responsibly so as to ensure that no one faces any harm while traveling on the road. Here is what our client, Rosemary M. of Spring Valley, California, has to say about how our office helped her. We represented her in a San Diego slip and fall accident and recently obtained a very good settlement for her. Legally We Can’t Say We Are The Best Personal Injury Law Firm in San Diego. We have the answers to these and many other questions available on this site and through our free information, saving you countless hours of research time and helping you understand more about personal injury law, the claims process and most importantly — your options. If you or a loved one has been seriously injured because of another person’s recklessness or negligence, you can feel like events are out of your control. Dealing with medical bills, insurance companies, surgeries, pain, and uncertainty can be overwhelming. You may have to go to court to get the compensation you deserve. You may need to hire an attorney. In hard times you also need a friend. …then you owe it to yourself to consider our Law Firm. Our team of San Diego injury lawyers will put you at ease. They will explain the legal process to you and help you find the medical attention you need. You will be fully involved in the decision-making process so you can make educated choices about your case. With our support, you will make the journey from fear and uncertainty to knowledge and closure. We want the San Diego community to be informed. We want every San Diego injury accident victim to be armed with the information they need to prevail against insurance companies who only care about their profits. Even if you choose not to hire a lawyer, feel free to follow our three regular accident and injury blogs, San Diego Injury Lawyer blog, or the San Diego Car Accident Lawyer blog and download our free reports packed with helpful information for injury accident victims. We use the latest technology, including paperless record keeping and trial software. 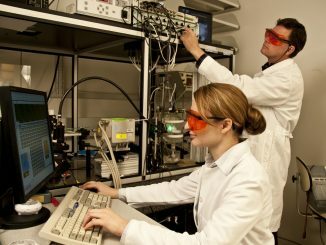 Our office is one of the most technologically advanced in San Diego County. That means our attorneys can access every important document in a case immediately and communicate essential information to judges and juries quickly, easily, and to the fullest effect. If you are unable to come to one of our offices, we can make arrangements to come to you. If you or someone you love was severely injured in San Diego County, let us help. 4moms has recalled about 1,440 units of its “breeze” play yard sheets because the sheets pose an entrapment and suffocation hazard for small children, according to the Consumer Product Safety Commission (CPSC). The sheets are made of cream-colored cotton jersey, and were sold as an accessory to accompany the brand’s “play yard,” a modular playpen. The sheets were intended to cover the bottom of the play yard, but the recalled sheets are too small to cover the entire bottom snugly. As a result, it is possible for a child to crawl between the sheet and the bottom of the play yard and become trapped, a situation which could lead to suffocation or other injuries. The recalled sheets bear the serial number 4M-009-10-000101 on their packaging and the number UPC 817980011137 on the white warning tag sewn onto the sheet. They were sold at buybuy Baby and other children’s product retailers nationwide between December 2012 and January 2013. So far, 4moms says it hasn’t received any reports of injuries. However, the too-small recalled sheets should not be used in the play yards. Instead, parents should return them for a refund. Consumers can contact 4moms at (888) 977-3944 for more information. Nobody who buys a toy or other item for a child ever wants to see that child hurt by the item. When a hidden defect is lurking in a child’s toy or other item, however, serious injuries may result. If a child you love has been injured by a defective product, please don’t hesitate to contact our skilled child product defect attorneys to discuss your legal rights and options. Your initial consultation is free and confidential. San Diego patients may benefit from new safety checklists. The World Health Organization estimates that approximately 500,000 surgical deaths and complications occur worldwide every year due to inexcusable medical malpractice. Too many times patients have signed incorrect surgical consent forms allowing medical staff to incorrectly label them for a planned procedure. 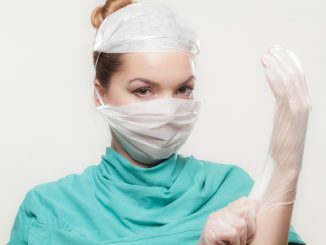 Nurses have documented patient safety measures that never actually occurred. Doctors have injected medications that were not labeled on the surgical field. The list goes on. 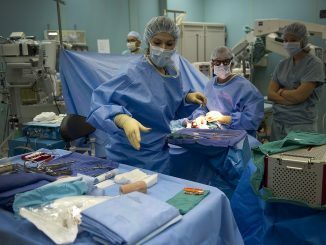 In order to address this issue, the World Health Organization, along with the Harvard School of Public Health, has launched its first “Safe Surgery Saves Lives” campaign. 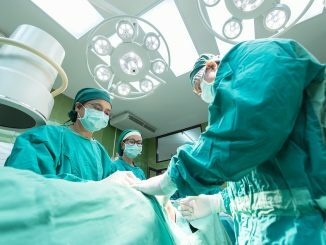 The study is based on the theory that a one-page surgery checklist developed by several world surgical experts will greatly reduce errors and omissions in the Operating Room. The study, conducted with the participation of 3,955 patients in eight different cities, demonstrated that this low-cost and low-tech tool significantly reduced surgical mortality and morbidity rates. The annual savings from the prevention of major complications in the Operating Room can be anywhere from $15 billion to $25 billion. Encouraged by this thought, the Institute for Healthcare Improvements and the World Health Organization have initiated the “Sprint” challenge: to have every hospital in the country utilize the surgical safety list with at least one surgical team by April 1, 2009. Last August, a covered construction walkway at the intersection of Imperial Ave between 15th and 16th Streets in the East Village area of San Diego collapsed on several pedestrians, seriously injuring three people. One of the three seriously injured pedestrians was Tyrone Allen, a 49 year-old-man. After an extended hospital stay, Allen moved to a nursing home where he lived until this past Tuesday night when he was taken to a hospital. Allen passed away shortly after 2 a.m. There is no specific word on the cause of Allen’s death, but officials from the Medical Examiner’s Office said Allen was suffering from complications from his injuries. A pathologist was scheduled to examine him yesterday. Cal-OSHA is investigating the construction accident and the company that erected the scaffolding next to the walkway. The results of the investigation are expected to be released in a few weeks. We send our sympathies to Mr. Allen’s family. Whether you are looking for a fun night on the town, a tourist taking in the sights, or on a date, a pedicab is a popular way to get around Downtown San Diego. Pedicabs are plentiful in the Gaslamp District and Convention Center for this reason. As an injury attorney, I would advise you to be weary of this type of transportation because it is not the safest way to travel. Unfortunately, my warning may be too late for you or someone you know. If that is the case, we can help. 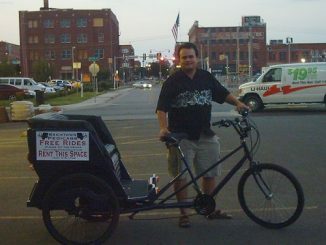 Our lawyers have experienced pedicab accident attorneys and we will be able to get you compensation for your injuries. For more information on this, please contact us for a free consultation. People use commuter shuttles everyday, particularly airport shuttles, to save time and money commuting to popular destinations such as local San Diego hotels or Lindberg Field at the San Diego International Airport. Just like any motor vehicle, commuter shuttles are involved in traffic accidents. And because commuter shuttles—such as the Ford 15-passenger van–usually are larger than other vehicles, the injuries caused by these accident can be very serious. If you or a loved one has been injured due to a commuter or airport shuttle accident, it is important to consult with an experienced personal injury attorney with a history of handling these types of injury accident cases. We are trained in litigating commuter shuttle accidents. For more information, please click on the link above or call our law office for a free consultation. Hard-cooked eggs from a Michael Foods’ Nebraska plant have been subjected to a massive recall due to listeria contamination caused by a repair project that occurred in the processing room of the facility. 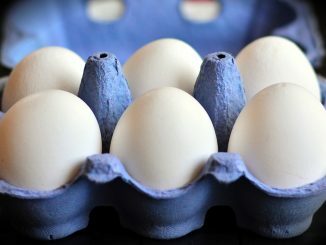 Initially, the recall was issued on January 26, but has since been expanded and now includes more than one million eggs spread across 34 states produced by Michael Foods, according to CBSNews.com. Michael Foods does not sell directly to consumers but instead sells their products to other food distributors and manufacturers, who then sell them under their names. Recalled eggs have been sold under brand names Glenview Farms, Papetti’s, Columbia Valley Farms, Wholesome Farms, GFS, and Silverbrook. The foods were sold in 34 states, including California, and were originally distributed in 10- and 25-pound pails of cooked and peeled eggs. Because the eggs were used in various ways by the distributors, not only eggs, but prepared sandwiches, salads, and other products using the eggs have been included in this food recall, as well. So far, no illnesses have been reported in connection with the recalled food, as the contamination was originally discovered via lab tests conducted by a third party. Listeria exposure can result in a serious illness that is especially dangerous for young children, the elderly, pregnant women, and those with weak immune systems. If you or a loved one has been injured or suffered health problems due to a defective product, you have the right to seek compensation for your losses, whether or not the item has been recalled. For more information on how we can help you, contact the Carlsbad product liability attorneys. Taxicabs are a common way to get around San Diego. There are many cab companies in San Diego, because we have many tourists and travelers in our city who need transportation but maybe do not have access to their car or will want drive. Unfortunately, some of these taxi drivers drive recklessly and erratically, causing motor vehicle accidents. If you are ever involved in a taxi accident, be sure to consult with a skilled taxi accident attorney. Our personal injury attorneys have experience handling taxi accident cases. We also compiled information about taxi accidents and how you can be safe while in a cab. Taxi Cab Companies are Subject to the Heightened Common Carrier Duty of Care When Driving Their Vehicle. Learn How Taxi Drivers Have a Duty of Utmost Care. Taxicabs are a great way to get around if you don’t want to ride in a large public transportation vehicle, like a bus or trolley. Taxicabs are especially popular in San Diego because of the large volume of tourists who visit year round. 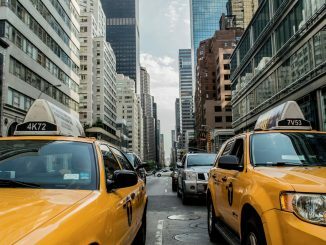 Because there are numerous taxi cabs around, it is inevitable that taxicabs are involved in traffic and pedestrian accidents. Make sure you consult with a taxi cab attorney if you are involved in a taxi accident. Be sure that the seat belts are in working order before the taxi begins its trip. If the seat belt does not work, inform the taxi driver of this or refuse to ride in the cab. If you are not wearing your seat belt, and the taxi crashes, you may not be able to fully recover for your injuries because you were partially at fault. It is good practice to write down your taxi driver’s information. In case of an accident, you will have your driver’s information already on hand. The information should be right in front of you behind the driver’s seat. Politely ask the taxi driver to slow down if they are driving too fast or erratically. Many taxi drivers feel that they know the city in and out and decide to drive quickly or cut in and out of traffic so that they can get more fares. 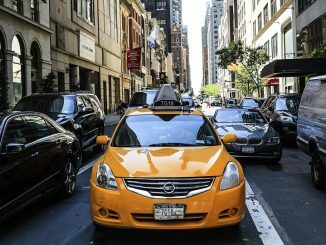 Who is Liable for Your Taxicab Accident? If you are a passenger and the taxi driver gets into an accident, the taxi cab company will likely be liable for your injuries, and not the individual driver. Each taxi cab in California must have valid insurance. The more established taxi companies, like Yellow Cab, will have more insurance coverage than the smaller cab companies. Keep in mind that taxi cab companies are deemed to be “common carriers” under the law and therefore have a heightened duty of “utmost care” to its’ passengers. Negligent driving by the taxi driver (speeding, failing to yield, not following signs, etc.). Bad maintenance of the taxi. Neglecting to check the oil, fluids, engine, tires, seat belts, brakes, and transmission on a regular basis. Using bad repair shops to fix problems with taxi cabs. Taxi driver working while high or drunk. Negligent hiring by the taxi cab company. What can a Can a Taxicab Accident Attorney Do for You? File a claim with the taxi company. Find you reputable doctors and personal trainers to get you well again. Negotiate with the taxi company for a fair and just settlement. Take the case to trial if necessary. Choosing a taxi cab accident attorney is no easy task. Many attorneys claim to be taxi accident attorneys, but they don’t have the experience that we have. Our lawyers are experienced taxi cab accident lawyers and have successfully prosecuted the interests of our clients. If you or a loved one has ever been involved in an accident involving a taxi, please contact our office for a free consultation. 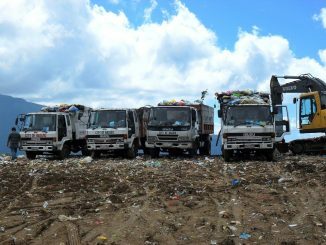 There are thousands of commercial vehicles on the road in San Diego County representing a variety of businesses including trash collection, construction, shipping, and delivery trucks. The drivers of these motor vehicles must obey the same rules of the road as any other driver and must drive carefully and reasonably. You can think of these vehicles as being a mobile company. 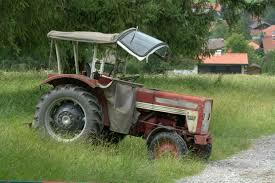 I say this because the company will be held liable if their vehicle is involved in an accident. The actions of the employee driver are directly transferred to the company that owns the vehicle. A commercial vehicle is any kind of vehicle that is used to solely for the benefit of a company or business. The vehicle will generally be registered and insured under the company’s name, and not by an individual. A commercial vehicle could be a truck, car, van, semi-truck, limousine, taxicab, or bus for example. Who is Liable When a Commercial Vehicle Gets Into an Accident? Of course, if you were the one responsible for the traffic accident, you will be the one who is responsible for paying damages. But what if the commercial vehicle is the at-fault party? In that case, the company or business will be liable for your injuries. Even if the driver was the negligent person, the company will be the one who will cover your medical bills, loss of earnings, and pain and suffering. This bodes well for accident victims because the company or business generally has more money to pay a settlement than the individual employee. The commercial vehicle accident attorneys are experienced in handling these types of claims. In the past, we have been able to receive favorable settlements from the delivery companies for our clients’ personal injuries. If you or a loved one has ever been involved in an accident involving a commercial vehicle, please call our law office for a free consultation. Delivery trucks deliver products and goods from sellers to customers. 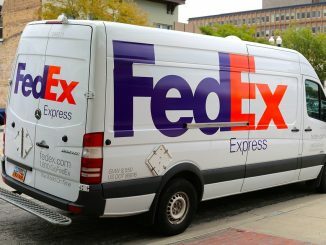 The most common delivery companies are FedEx, DHL, and UPS. Delivery trucks are bigger than your average car, and can cause a severe accident if they collide with your vehicle. If you are involved in an accident involving a delivery truck, make sure you are represented by an experienced delivery truck accident attorney. Fortunately, our lawyers have handled several delivery truck accident claims. Attempting to settle with delivery companies is tough if you don’t know the process. We can help out with that. Delivery Truck Accidents Can Seriously Injure San Diego Drivers. A Trained Lawyer Can Help Get the Compensation You Deserve. Delivery trucks provide a helpful and necessary service for businesses selling and delivering their products to their customers. When someone needs a product that is too large for the US Postal Service to carry, or they need their package urgently, people use delivery companies. Although delivery trucks with UPS, FedEx, and DHL are beneficial, these delivery trucks can get into traffic accidents as well. Be sure that you know your rights and how to contact if you are ever involved in an accident with a delivery truck. 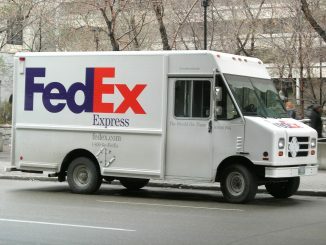 The most common type of delivery trucks are those that deliver express mail. UPS, DHL, and FedEx are the most frequently used express delivery companies. These trucks are very large and heavy due to the large amount of mail they carry. Because of this, injuries stemming from these vehicles can be catastrophic or even deadly. Semi-trailer trucks (ie “18 wheelers”) are able to carry many types of goods due to their large storage space. Because these semis are so large, a collision with them can be especially harmful. Because delivery trucks are larger in size than your average car or truck, collisions with them are can be especially damaging. Not only can a collision result in a total loss of your car, but your personal injures can be far more serious than a regular car accident. If the delivery truck fails to yield the right of way or takes a sharp turn, the impact can be potentially devastating to a pedestrian or vehicle. You can be involved in an accident with a delivery truck for a variety of reasons. If the delivery driver is driving negligently and not paying attention while on the road, it could lead to an accident. Also, if the driver is not careful when backing up, the driver could hit a pedestrian or car. Large delivery trucks also require a lot of maintenance due to their large size and parts. Delivery trucks often get into accidents because the company was negligent in maintaining their trucks. An accident involving a delivery truck can be pretty disastrous so it will be best to consult an experienced delivery truck accident attorney. We are experienced in handling delivery truck accidents. In the past, we were able to receive a favorable settlement from the delivery companies for our client’s personal injuries. If you or a loved one has ever been involved in an accident involving a delivery truck, please call our law office for a free consultation. 4-Year-Old Kayley Ishii of Mission Viejo, California was killed at her home after she climbed into a front loading washing machine which was then turned on by her 1-year-old brother. 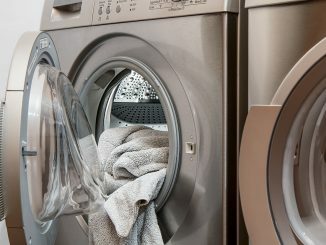 Kayley Ishii was inside the water-filled washing machine for approximately 2 minutes before she was found by her mother. She was taken to Mission Hospital Regional Medical Center but later died from her injuries. It is unbelievable that a 1-year-old could turn on a washing machine without any assistance from an adult. However, the power button for the machine was located less than 20 inches above the ground and within easy reach of the toddler. That would seem to be a very reckless and negligent design defect for this product. Combined with the fact that children could easily climb inside it and you have a combination of tragically poor design defects. If the product design is defective, California law requires that the manufacturer be “strictly liable” (meaning that they can be held responsible even though the manufacturer acted reasonably) for Kayley Ishii’s death. We sent our prayers and thoughts to the Ishii family. Nothing is more tragic than losing a child, particularly under such tragic circumstances. We all love roller coasters. It is a fun way to spend the weekend with family and friends. 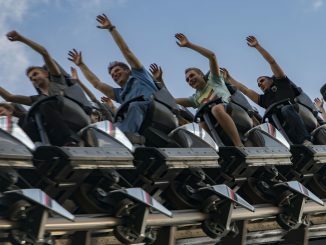 Unfortunately, roller coasters and amusement parks have been the site of several tragic accidents that leave people severely injured, or worse. Therefore, it is important to follow safe riding practices while you are on a roller coaster. But even the safest rider cannot prevent accidents that are beyond their control. We are experienced roller coaster accident attorney and can help you with your personal injury case. For more information about amusement park safety and how we can help, call our office for a free consultation. With the increased cost of gas, millions of people decide to ride the bus every day. It is a cheap and efficient way to get to and from work or school. 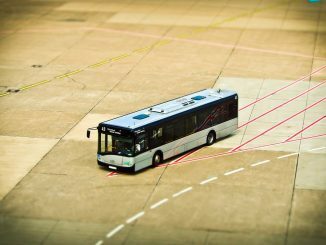 Many people fail to realize that a bus can get into accidents on the road. People suffer from injuries they get from riding on a bus more often than you think. 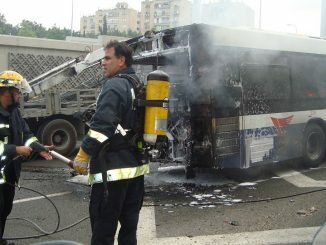 We are experienced San Diego bus accident attorneys. We know the proper steps to ensure you get the compensation you need after your accident. For more information about bus accidents and how we can help, please call our office for a free consultation. Drug Manufacturer Pfizer, Inc. issued a recall on February 1 of approximately 1 million birth control pills due to a manufacturing problem that led to pills in some of the packets being placed out of order. According to CBS News, the affected packets are Lo/Ovral-28 and the product’s generic equivalents, called norgestrel and ethinyl estradiol. The company’s birth control packet contains 28 pills, with seven of the pills being placebos. The pills are ordered in a specific arrangement so as to mix in placebos with pills containing the active birth control ingredient. 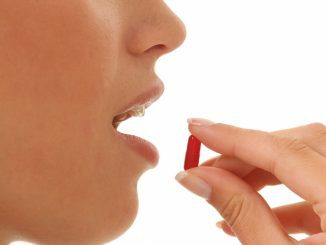 If three placebos are taken in a row, the protection of the pills will be negated. As the error in manufacturing the packets affected the order of the pills, consumers may be subjected to multiple placebos in a row, wearing off the birth control’s effects without their knowledge. While approximately 1 million are included in the drug recall, Pfizer believes that only around 30 packets contain the flaw. Affected packets are pink with either the drug’s brand name or generic name printed on them, as well as the name Akrimax; however, Pfizer’s logo does not appear on them. The recalled line has expiration dates ranging from July 31, 2013 through March 31, 2014. We understand how even a small defect in a product that requires precise use, such as birth control, can cause major complications for consumers. If you or a loved one has suffered injuries or losses due to a dangerous or defective product, one of our San Diego defective product attorneys can aid you in seeking compensation from the at-fault company. Call us today for a complimentary consultation on your case by our experienced law team. 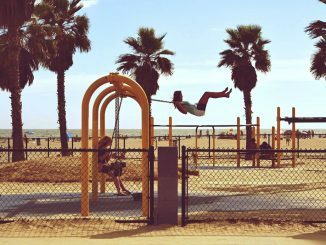 The US Consumer Product Safety Commission and Playland International of Carrollton, Georgia, announced a voluntary recall of Arch Swing Sets commonly used in San Diego County playgrounds. The reason for the recall is that the metal around the welds on the top of the set frame can fail and cause the top bar to fall injuring children and bystanders. If you are concerned that you, a neighbor, or a public park are using the Arch Swing Set after the recall, please let them know about it right away. If you want any more information or you have been injured by a defective Arch Swing Set, please contact the experienced defective product attorneys. A new sign reading “Please Don’t Drink and Drive” greets drivers on state Route 125 in Santee, the legacy of a fatal drunk driving crash in 2009 that claimed one life and sent another driver to the hospital with serious injuries. The sign was paid for by the deceased driver’s family, who wanted a way to warn other drivers against causing these preventable car crashes and to remember their loved one. The sign honors the victim of the 2009 crash, who lost her life when an intoxicated teen driver crashed into her vehicle. The teenager survived the accident, but suffered brain damage including memory loss and blindness in one eye. Now at the age of 21, the driver has joined the fight to eliminate drunk driving and encourage others to drive safe and sober. Driving under the influence of alcohol or other drugs (DUI) in San Diego can carry both criminal penalties and civil ones. 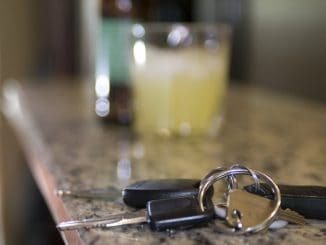 The families of a motorist, pedestrian, or other person killed in a drunk driving crash may be able to seek compensation in the form of a car accident wrongful death claim against the impaired driver who caused the crash. While financial compensation can’t restore a lost loved one to life, it can make planning for the future easier for those left behind. If someone you love has lost their life in a drunk driving or other car accident, please don’t hesitate to contact our experienced car accident wrongful death attorneys in San Diego to learn more about your legal rights and options. Call us today for a free and confidential case evaluation. The Manhattan Institute is a conservative think tank that pushes a tort-reform agenda as it attacks plaintiffs’ attorneys for numerous evils, both real and perceived. 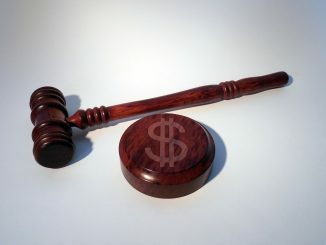 One of the primary gripes tort-reformers have against plaintiffs’ attorneys is that the contingency fee agreements used so prevalently in litigation–a legal fee agreement where the client pays a percentage of any recovery to the attorney for his services–unjustly exploit clients who cannot afford hourly attorneys’ fees and thereby unjustly enrich attorneys at their expense. 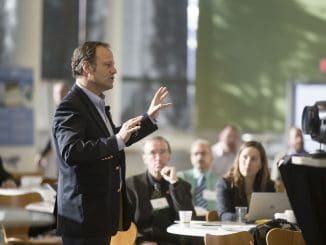 So, it’s ironic that The Manhattan Institute’s PointofLaw website recently published a story describing the findings of a legal fees study performed by Israeli behavioral economists Eyal Zamir and Ilana Ritov. The study, titled, “Neither Saints nor Devils: A Behavioral Analysis of Attorneys’ Contingent Fees” found that–contrary to the beliefs of tort-reformers–the vast majority of litigation clients prefer contingency fee agreements to the traditional billable hour fee agreement. The study reaches a number of conclusions, but the key conclusion is that clients are risk-averse. They prefer a fee arrangement where the attorney shares the risk of litigation with them, even if that means the client ends up paying more in attorneys fees for that service. The attractiveness of the contingency fee agreement is that if the client wins, he will recover monetary damages, and, if he does not win, he does not owe any money in attorneys fees (“heads I win, tails let’s call it even). Think about the utility and value of the contingency fee agreement the next time you hear some tort-reform argument, or, worse yet, a tort-reform initiative seeking to ban the contingency fee agreement. This Friday, a judge will review a $8.3 million verdict against the City of San Juan Capistrano awarded to a 14-year-old boy, Trenten Miller, who lost his leg during a bicycle accident. The judgment was to be finalized last month. However, San Juan Capistrano decided to file an objection to the jury findings and overturn the verdict. Superior Court Judge Thierry Colaw set a hearing to hear the City of San Juan Capistrano’s motion this Friday. In December, an Orange County jury found that the City of San Juan Capistrano liable to Miller because the City created a dangerous condition at an intersection. Miller was the passenger on his friend Scott Agostini’s dirt bike. Overgrown vegetation in the median of the intersection made it difficult for Miller and Agostini to see oncoming traffic as they attempted to cross the intersection of San Juan Creek Road and Paseo Christina. The jury ruled in favor of the bicyclists, ruling the City of San Juan Capistrano to pay Miller $7.1 million and $1.1 million to Agostini. The verdict was reached three years after the bicycle accident and after Miller unsuccessfully attempted to settle the suit in mediation. Prior to the jury’s verdict, the City of San Juan Capistrano’s only offer was $1 million, which Miller rejected. The California Medical Board permitted a doctor to keep his license after committing medical malpractice by aiding an unlicensed doctor perform illegal abortions. Dr. Mohammad Bararsani, who runs a cash-only abortion business at his Women’s Care Center on Crenshaw Boulevard in Torrance, California, was also charged with seven other cases of negligence and incompetence. Associates of Dr. Barasani have committed medical malpractice by performing abortions in San Diego without a medical license. The charges against Dr. Bararsani arise from his actions to help Edgar Ruiz perform illegal abortions. This is not the first time Dr. Barasani has worked with people performing illegal abortions. Bararsani, a 1964 graduate of Tehran University School of Medicine, has worked with Edgar Ruiz, a doctor licensed in Nicaragua. 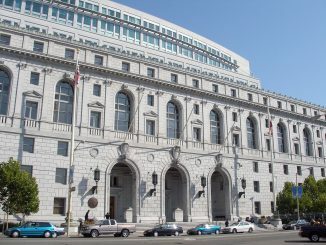 He has also worked with Bertha Bugarin who is awaiting sentencing for posing as a doctor and performing illegal abortions in both Los Angeles and San Diego counties. For whatever reason, the California Medical Board decided to allow Dr. Barasani to keep his medical license after performing some minor probation tasks. For his probation, he must complete an education course, a medical records class, and is prohibited from supervising physician’s assistants. Although the topic of abortions is usually a lightning rod topic, it is important to remember that it is a medical procedure. It is also a medical procedure that presents risks of infertility, infection, and even death. Quite honestly, it is amazing that the California Medical Board did not do more to protect Californians—and San Diegans—from his practice of using unlicensed doctors to perform abortions on low-income women. The US Department of Justice launched an online database available to all government agencies and to consumers to help detect automobile title fraud, theft, and other crimes involving cars. The new database, called The National Motor Vehicle Title Information System (NMVTIS, editor: Great acronym, guys! ), launched on January 30, 2009 and is available to consumers through several fee-for-service websites. Consumers can use the system to verify and exchange title and brand data as well as look up vehicle histories, including odometer data. 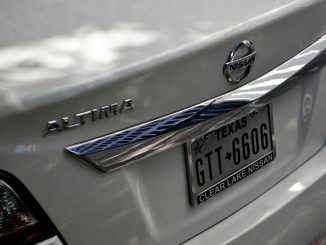 The launch of NMVTIS occurred only after three public interest groups–Public Citizen, Consumers for Auto Reliability and Safety (CARS, editor: Much better acronym. ), and Consumer Action, sued the federal government seeking an order from the Court to force the government to implement NMVTIS as Congress had instructed 16 years ago. While the database is not complete right now–less than two-thirds of all cars are listed–it is a step in the right direction to help prevent consumer fraud. If you experience fraud in the purchase of a car, or if you buy a new vehicle that does not work properly, call our lawyers to learn about your rights. Two light rail passengers were injured in a San Diego trolley accident as their trolley slammed into a postal vehicle at Park Boulevard and G Street in East Village in San Diego. This auto vs. train accident took place around 11:30 a.m. on February 3, 2010. Though no one lost their life, two passengers, a 40-year old man who uses wheelchairs and a woman in her 40s, were taken to Scripps Mercy Hospital and Kaiser Hospital, respectively. The man was treated for major trauma and the woman sustained minor injuries. Police are still investigating the cause of the crash. 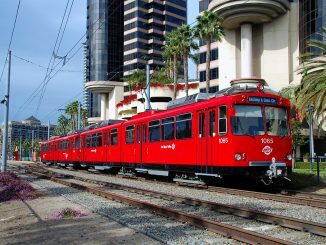 Trolley accidents in Downtown San Diego are not unknown. Light rail drivers are known to enter intersections on the tail end of the yellow light, thereby causing traffic snarls and blocking intersections. An argument over a taxicab resulted in the death of a 22-year old man named LaDonte Collins, on February 2, 2010, in the 7000 block of El Cajon Boulevard in San Diego. This unfortunate San Diego assault and battery took place in the early morning hours around 4:30 a.m. in the parking lot of the Ace Budget Motel. The fatal assault appears to have been resulted from a quarrel between the victim and another man who both wanted to hire a taxi that had just arrived to pick up a fare outside the College Area motel. The quarrel heated up and ended with the other man, whose name was not immediately available, stabbing Collins and severely wounding him. Collins was taken to Sharp Memorial Hospital, where he was declared dead an hour later. The suspect was later turned over to the homicide detectives. Incidents like these tend to leave us shocked and angry. 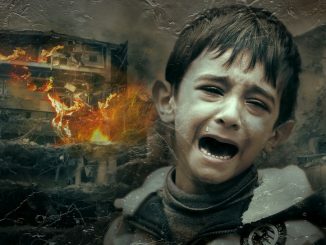 How unjust and inhuman is it to take away a life in a fit of rage?! Our office wishes to convey our sincere prayers and condolences to the family and friends of LaDonte Collins in such difficult times. San Diego residents suffering from food poisoning due to salmonella in their peanut butter products appear to be the victim of a Texas processing plant that went unlicensed and uninspected for years. The Plainview, Texas plant for Peanut Corporation of America was never inspected until it came under investigation by the FDA. Inspectors have not found any trace of salmonella at the plant but have determined that the plant had been operating without a license and without inspection for years. Unfortunately, this is a common occurrence. The company’s sister plant in Blakely, Georgia revealed roaches, mold, and numerous positive tests for salmonella. We hope that federal and state health inspectors do their job now that this outbreak has spread nationwide and shut these plants and Peanut Corporation of America down. If you have been exposed to salmonella food poisoning, please immediately go see a doctor and receive urgent health care. Our office is available at any time after you’ve received health care. 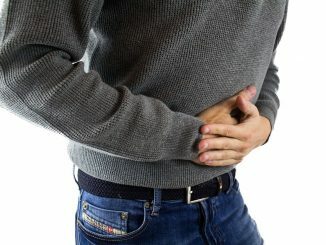 Please contact us and speak to a lawyer about your food poisoning injury. On Thursday, a Los Angeles Superior Court Judge ruled that a seatbelt manufactured by Takata Corp. of Japan was safe and met federal safety standards. 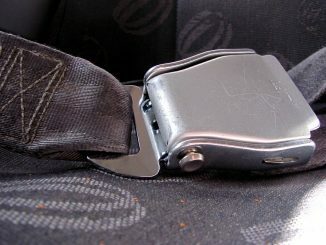 The ruling ended a lawsuit brought by car owners who had claimed that the TK-52 seatbelt–installed in approximately 4 million cars in California–was improperly tested and subject to its’ buckle opening during collisions. Lawyers for the car owners vowed to appeal. None of the car owners claimed that any of the seatbelts were actually defective. Nor did they claim that they had been injured by the seatbelts. The allegation was that the seatbelt would fail in the future. Other class-action lawsuits against Takata had been previously dismissed in other lawsuits. Providing fresh insight into the teen skateboarder killed by in a Vista hit and run car accident, a 92-year old man has turned himself into authorities saying that he might be the careless driver. A vigil was held in memory of 15-year old Lucas Giaconelli, who lost his life in when a car struck and killed him as he was skateboarding along Thobodo Road in Vista in North San Diego County. It was during the vigil itself that the 92-year old suspect came forward asking why the vigil was taking place. The deputy with the San Diego Sheriff’s Department explained about the Vista pedestrian accident. When the deputy was finished, the man said he had been driving on the street around the time of the accident and thought he had hit a small animal. The man’s car was then examined and the damage was found to be consistent with the fatal auto accident. It has to be said that, though we are all concerned with the way young people drive, though also has to be given to the danger posed by senior citizens driving when they perhaps should not. 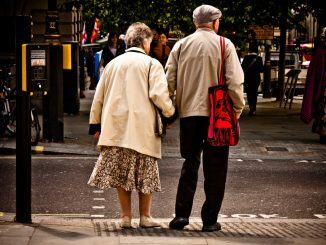 Clearly, due to their age, they can sometimes cause serious threats to fellow drivers and pedestrians. In some cases, such as in this accident, their carelessness and inability to react quickly can even cause death. A 15-year old Vista boy was killed by a hit and run driver in a tragic Vista car accident while he was skateboarding on Thibodo Road east of Edna Way. The teenager, identified as Lucas Giaconelli, was a freshman at Rancho Buena Vista High School. This tragic accident happened on Friday, January 29,2010, around 7 p.m., when Lucas was struck from behind by a high-speed 1990 Toyota Camry while he was skateboarding with his friends. Lucas was knocked down to the street and was taken to an Escondido hospital where he succumbed to his injuries within an hour of arrival. The suspected driver was said to be driving a white model of Camry with tinted windows. It is believed to have a broken headlight and front-end damage, reported Sheriff’s Deputies. Serious pedestrian accidents like these tend to shake our trust and faith in humanity. How cruel is it to leave anyone, most of all a child, gravely injured and bleeding on the road? The entire Vista community is shocked and grieving! Our office wishes to convey our sincere prayers and condolences to the family and friends of Lucas Giaconelli in such heartbreaking times. We hope for the accused to be caught soon.